Lao Red Cross Society (LRC) Vice President Thongphachanh Sonnasinh chaired a workshop, organized on 26 February, to review the lessons learned from the Disaster Risks Reduction (DRR) in School Project. 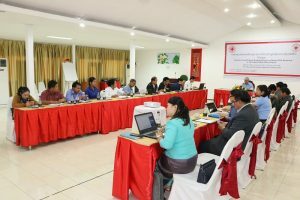 Among the 24 attendants were representatives from provincial authorities. 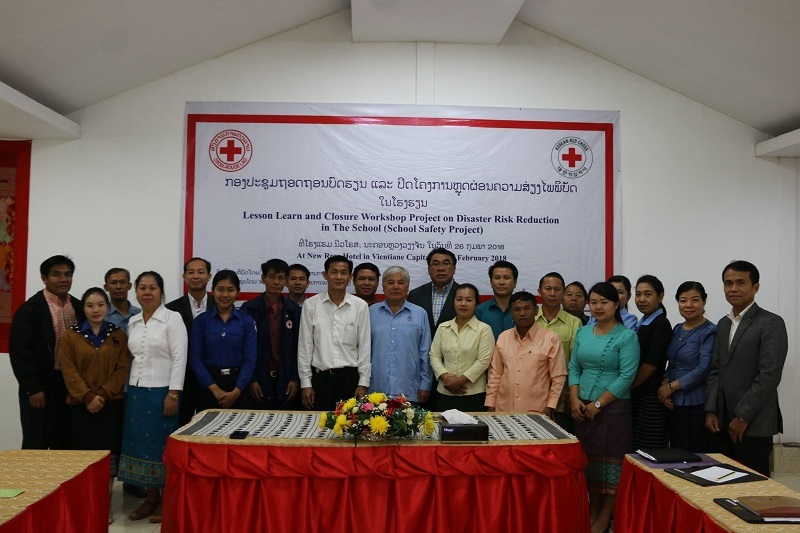 Between September 2017 to January 2018, LRC has built six classrooms, two bathrooms, and wash basins, as well as provided training on disaster preparedness and first aid to teachers and staff from schools in Vientiane Province. Public announcement systems were also installed in two schools for use during emergency, while medicine and first aid kits were also provided. Click here for more information.